Discover Southeastern Europe (Balkans) with this ideal road trip itinerary through Croatia, Montenegro and Bosnia and Herzegovina in 3 weeks (20 days). It is a dense program but nonetheless very realistic with even an extra safety day that you could use to stay longer in a destination you really enjoy along the way. Although renting a car may be costly it’s very much advised if you don’t want to worry about losing time with hazardous bus routes. You will still have to deal with your share of bus to cross borders like between Dubrovnik (Croatia) and Herceg Novi (Montenegro), and between Podgorica (Montenegro) and Sarajevo (Bosnia and Herzegovina). This trip itinerary through Croatia, Montenegro and Bosnia and Herzegovina in 3 weeks starts with Zagreb. Croatia's capital can easily be covered in one day. 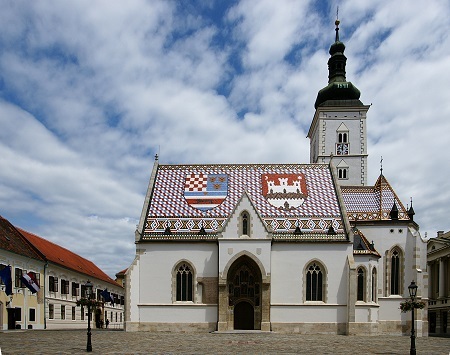 You should visit St. Mark's Church (see photo), reach Lotrščak Tower to enjoy a beautiful panorama of Zagreb, Gornji Grad (Upper Town) where you can enjoy good food (cheese, wine hmm) and Dolac the most famous market of the city where you can find local farm products. The next day pick-up the rental car to be used until Dubrovnik and head towards Plitvice Lakes National Park (about 2 hours and a half). 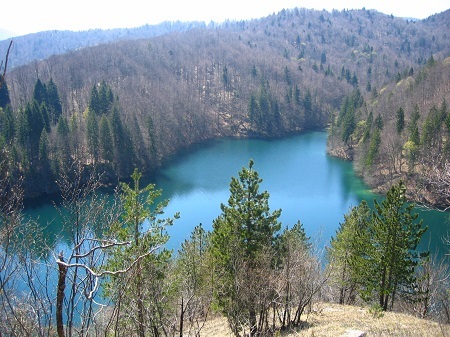 It is the oldest national park in Southeastern Europe but also the largest in Croatia. You can spend the night in one of the many accommodation (B&Bs and hostels mostly) around the park. 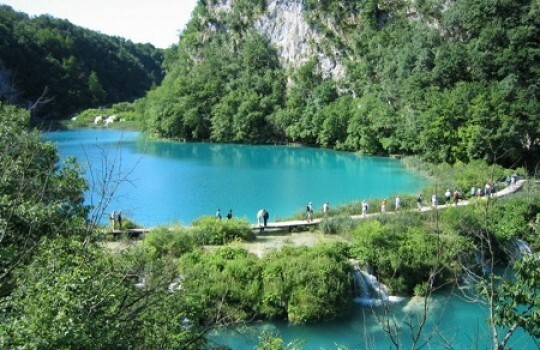 This day is certainly one of the most important of this trip; make sure you enjoy to the fullest the beaufitul natural sights that offers Plitvice Lakes National Park. It takes about 3 hours to complete the main hiking route that goes to the waterfalls. The journey then continues with Split (about 3 hours away from Plitvice by car). Split is the largest city of Dalmatia region and, besides its rich history (Split dates back to the Roman Empire in 300), it is famous for being one of the cities with the most sun on Earth with 2,800 hours of sunlight every year. Visit the historical centre with the Diocletian's Palace, which is a UNESCO heritage site, and St. Duje's Cathedral (St. Domnius). Have a walk then in Getski vrtal which is inside the the Diocletian's Palace and then follow Riva which is the main city promenade. Other interesting spots are Marjan hill where you can enjoy a panoramic view of Split (174 meters high) and the Green Market. Brace yourself for an intense day with the visit of another national park: Krka National Park (Sibenik) or Paklenica National Park (Zadar). It's up to you! 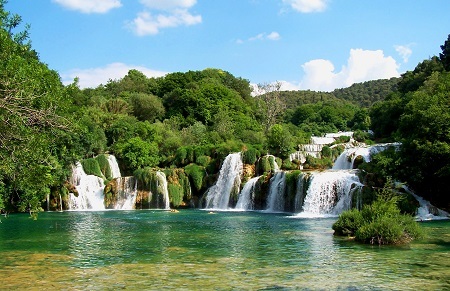 Although less famous than Plitvice, Krka and Paklenica are certainly not falling short when it comes to breathtaking nature. If you like hiking go for Paklenica. There are two canyons there: Mala Paklenica (12 km long and 400-500 m wide) and Velika Paklenica (14 km long and 500-800m wide). There is obviously a nice trek to do here but keep in mind that it will take you about 8 hours to cover both canyons by hiking. 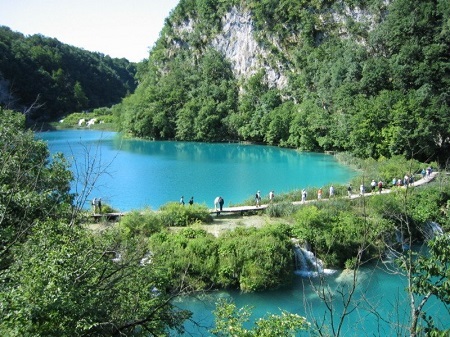 Krka offers hiking routes as well but it is quite similar to Plitvice (lot of water) and a bit more crowded with a lot of tourist services like cruises, sightseeing tours, restaurants..etc. If you feel like visiting both natural parks then go for it – this itinerary has 1 buffer day and worst case you can always skip a destination that interests you less later on. 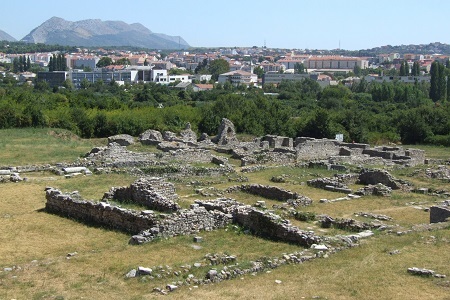 After another night in Split, drive to Solin to visit the Roman ruins where once stood the ancient town of Salona which was the capital of the Roman province of Dalmatia and the birthplace of Emperor Diocletian. 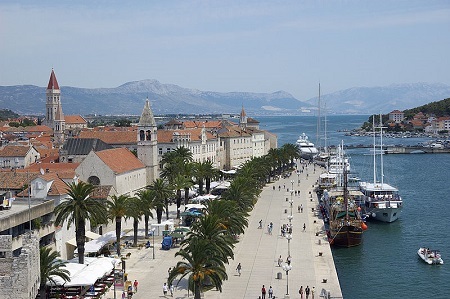 Continue your day trip to Trogir which also has a rich history going all the way back to 300 BC. The main attractions in Trogir are the historical site and its Central Square. You should visit The St. Lawrence Cathedral as well and have a look at the massive Fortress Kamerlengo. If you are up for a bit of climbing you can also reach the top of St. Michael Bell-tower to appreciate a beautiful view of the city. 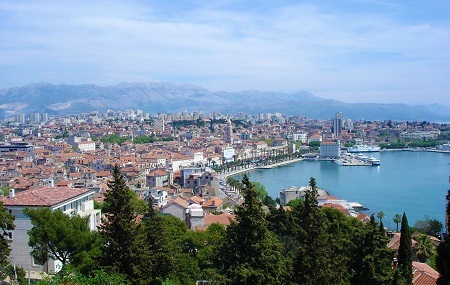 Note: you could sleep again in Split, which would mean a total of 4 nights there. It's the most convenient option if you don't want to carry your luggages from one place to another but for this night like the previous ones you can of course opt for another spot. Say good bye to Split and continue your trip to reach the island of Hvar by car ferry (about 2 hours - check carefully the schedule because there are only a few departures per day). The first stop on the program is Stari Grad (litterally Old Town), the oldest city in Croatia. The most ancient part of Stari Grad (Stari Grad Plain or Starogradsko polje) is a UNESCO protected World Heritage Site that you should visit along with the other archeological sites around the town like the Old Town Walls (fortress). There are many churches as well like the Church of St Peter (Petar) and the Church of St. Luke (Lucije). After this reach the city of Hvar for the night. In the morning visit the city and port of Hvar. Ther main sightseeing spots in Hvar there are the Cathedral of St. Stephen (Sv. 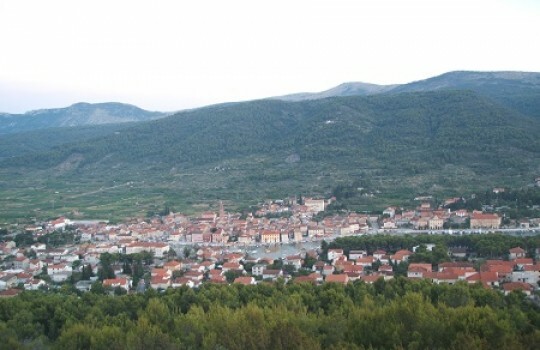 Stjepan), the main square 'Pjaca' (Piazza), the Franciscan Monastery, the town walls and Fortica (the fortress also called Tvrđava Španjola or Spanish Fort). After that it's time to go off the island of Hvar to return on the mainland and head to Dubrovnik. There is car ferry going from Stari Grad to Dubrovnik directly but you may go back to Split instead. 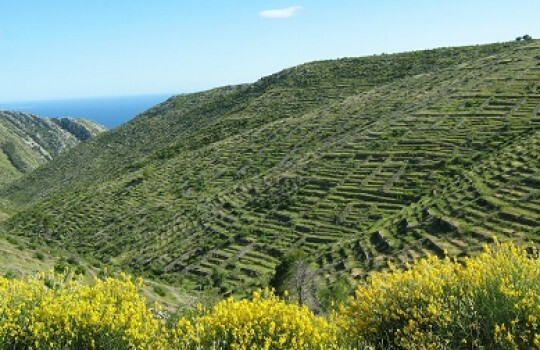 This will enable you to enjoy the very nice coast drive from Split to Dubrovnik where you can spend the night. 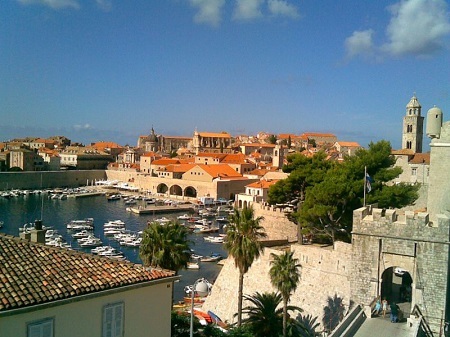 Dubrovnik is for many people the highlight of any trip in Southeastern Europe/Balkans. 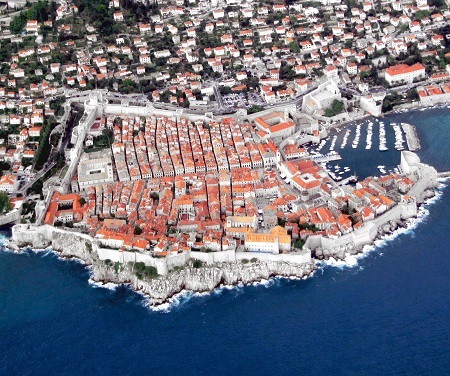 Dubrovnik, also referred to as the 'Pearl of the Adriatic', has been a UNESCO protected World Heritage Site since 1979. For your first day there you can already visit the main attractions like the Sponza Palace, the Rector's Palace and the St. Saviour's Church. 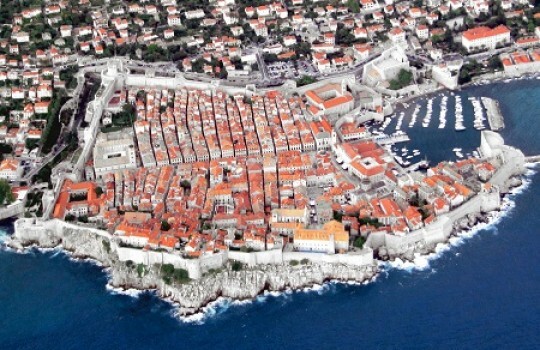 Check out the massive Walls of Dubrovnik that surround the city for about 2 km and are up to six metres thick. If you are looking for a nice walk in the sun or a swim in the Adriatic sea, have a look at Lapad Beach located about 3.5 km from the old town. 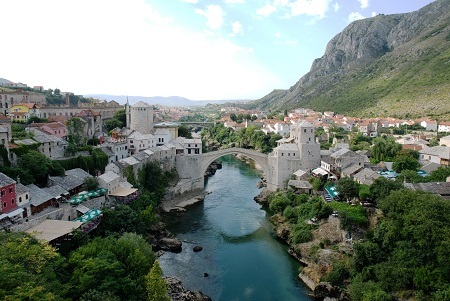 This day is dedicated to the visit of a beautiful city, Mostar, located in Bosnia and Herzegovina (Herzegovina region) about 3 hours away by car from Dubrovnik. It may actually take a bit longer because you need to cross a EU border so it's really advised to leave early in the morning. Mostar is especially famous for its Stari Most (Old Bridge) over the Neretva which was built in the 16th Century by the Ottomans and is considered nowadays one of the most spectacular pieces of islamic architecture in the Balkans. Besides the Old Bridge and its surrounding area (Old City of Mostar) you should also have a look at the Partisan Memorial Cemetery and the Koski Mehmed Paša Mosque (oldest mosque in Mostar - built in 1617). Finally, if you still have time and like nature you can try to check out the Kravice Falls on the Trebižat River (about 40 km south of Mostar) on the way back to Dubrovnik. 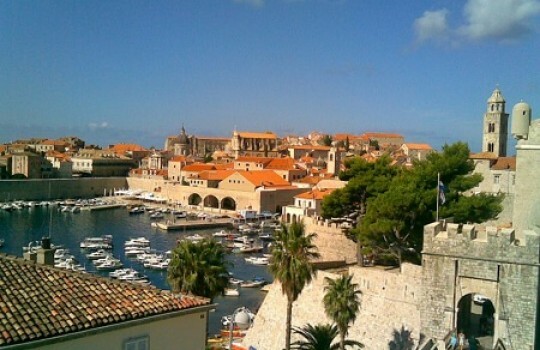 This final day in Dubrovnik is the occasion to visit the remaining spots you haven't seen yet in this beautiful city. It's also time to say good bye to your rental car and drop it off before enjoying a last evening and night in Dubrovnik. Take the bus to reach Herceg Novi in Montenegro (about 1h30). There pick up the rental car and after briefly visiting the city (if you want to) head to Kotor (1-hour drive). Kotor is a superb coastal city located in the Bay of Kotor. 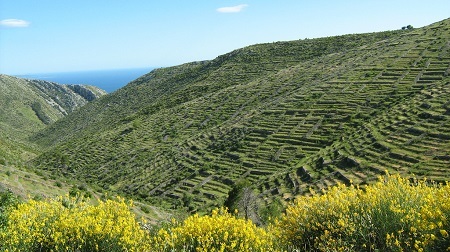 It is part of the UNESCO World Heritage Site 'Natural and Culturo-Historical Region of Kotor'. There you should visit the Old Town and the City Walls. It's highly advised to climb up to reach St. Ivan's Fortress (280 metres / 918 feet high) where you can enjoy a breathtaking view of Kotor and the bay. This requires some hiking but the sight at the top is definitely worth it and altogether it shouldn't take you more than 2 hours and 30 minutes for the round journey. Also, don't miss the Chapel of our Lady of Salvation on the way to St. Ivan's Fortress. If you still have some time on your hands after this, head to Perast (a village 15 minutes away from Kotor by car) and go by boat to Our Lady of the Rocks, an islet in the Bay of Kotor where you can see the beautiful Roman Catholic Church of Our Lady of the Rocks. 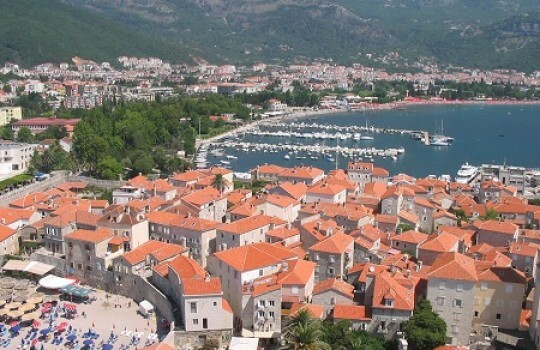 For the night you can either sleep in Kotor or proceed to the next destination: Budva. 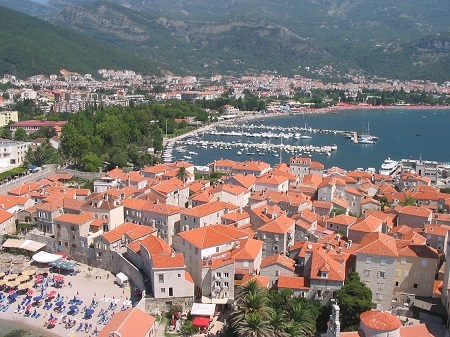 Budva is a small city (18,000 inhabitants) located roughtly 23 km / 14.3 mi south east of Kotor. It is especially famous for its nightlife so you should try to spend at least one night there. 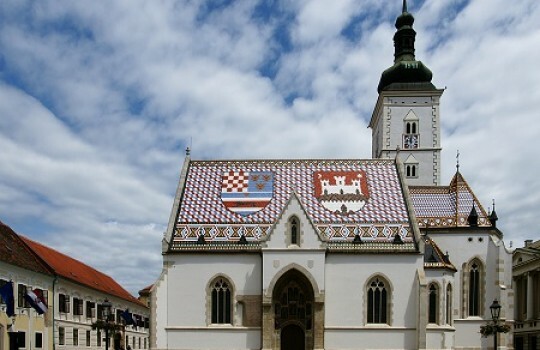 Apart from that you should visit the Stari Grad (Old Town) and its Citadel at the southern part as well as the many churches like Saint John, Holy Trinity and Saint Sava. 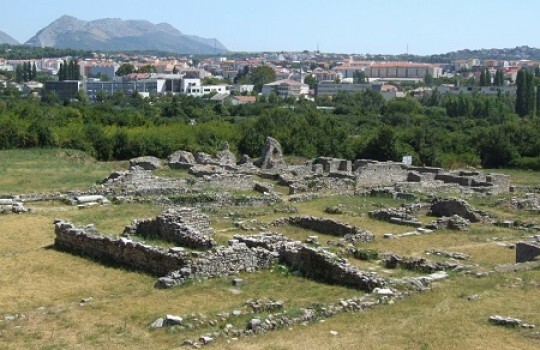 Budva is one of the oldest town on the Adriatic coast and dates back to 500 BC so if you are interested in history and archeology you may want to visit Budva Archeology Museum. You have a busy day ahead with the visit of not one but three spots! 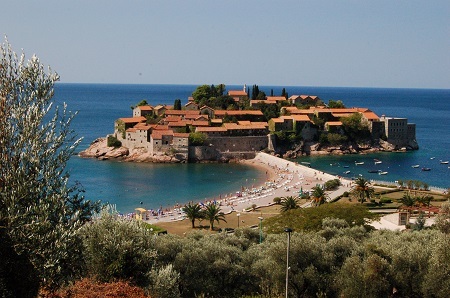 First, Sveti Stefan, an islet and luxury resort. Access is restricted to hotel guests but the beaches located north and south are open to the public. 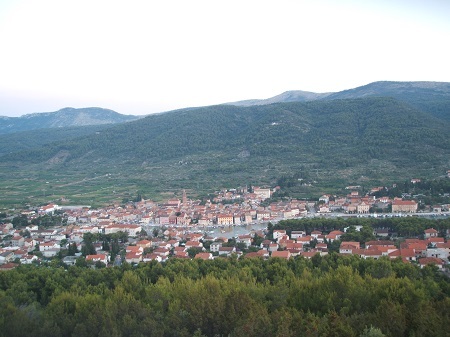 Continue then with Bar and especially its Old Town (Stari Bar). Other interesting sights are the port of Bar, Bar Fortress and, last but not least, the oldest Olive tree in the world. The next destination is Rijeka Crnojevića, a small historical city located on the oldest trade road that goes through Montenegro. The most interesting spots to see are the old bridge of the town and the fortresses. The Lake Skadar on which Rikeja Crnojevića is located is also a beautiful sight. Lastly, spend the evening and night in Podgorica, the capital of Montenegro. The main attractions there are the Old Turkish town (Stara Varoš) and the Ribnica Bridge (Adži-paša's bridge / Most na Ribnici). It is now time for another taste of nature and experience the beauty of an amazing national park – Durmitor – that doesn't have anything to envy of its Croatian counterparts like Plitvice. Durmitor is a massif that holds the highest peak of Montenegro (Bobotov Kuk at 2,522 meters). 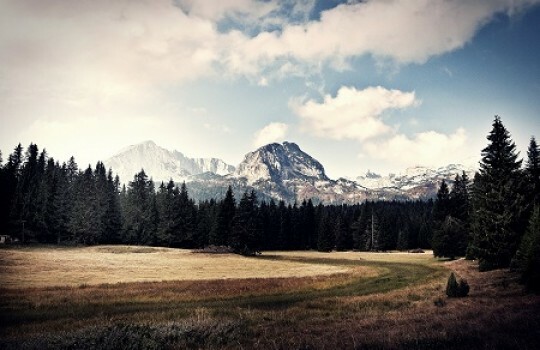 This itinerary dedicates two days to Durmitor and Žabljak (a town at the center of Durmitor situated at 1,456 metres which makes it the highest town on the Balkans). However, this is mainly if you are interested in activities like hiking, biking or rafting on the Tara River (Drina) (UNESCO World Heritage Site). This is almost the end of this trip. Say good bye to Montenegro and get rid of the rental car back in Podgorica before taking a bus to Sarajevo in Bosnia and Herzegovina. 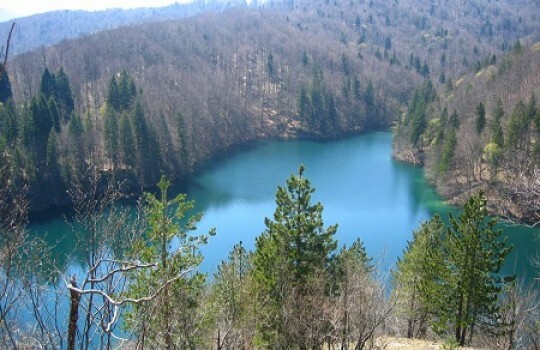 The bus departs from Lukavica station and the ride takes about 7 hours but the surrounding nature on the way is so marvelous that you will not be wasting your time at all. Sarajevo, the capital of Bosnia and Herzegovina, is a very interesting where one could easily spend an entire week just to explore the different museums so at this stage of the itinerary it is really up to you to decide how long you want to stay there. In any case, be sure not to miss the Old Town and its bazaar (Baščaršija), the Latin Bridge (where World War I started with the assassination of Franz Ferdinand in 1914) and Gallery 11/07/95 which is a memorial to the Srebrenica massacre.